A core group comprising the Offices of the Executive Secretary, Deputy Executive Secretary for Legal Affairs, Cabinet Secretary, Presidential Legislative Liaison, and the LEDAC Secretariat organized and conducted a Cabinet Cluster workshop on July 15, 2013 to come up with a list of proposed priority legislative measures for the 16th Congress. In his opening remarks, Executive Secretary Paquito Ochoa, Jr. pointed out the objective of the activity to limit the proposed measures depending upon their level of importance as input to or consistent with the President’s SONA. PLLO Secretary Manuel Mamba presented the status of the 15th Congress CLA. On the accomplishment of the 15th Congress, Mamba emphasized the 467 new laws enacted as of July 15, 2013 and 28 more for Presidential action. 73 of said laws are of national application and 15 of which are LEDAC CLA. DOF Secretary Cesar Purisima presented the proposed priority legislative measures of the Economic Development Cluster, as follows: (1) Removing investment restrictions in specific laws cited in the Foreign Investment Negative List; (2) Amendments to RA 7718 of the Build-Operate-Transfer Law, as amended; (3) Rationalization of the Mining Fiscal Regime; (4) Transparency and Accountability in Administration of Fiscal Incentives/Fiscal Incentives Rationalization; (5) Amendments to RA 8974 – An Act to Facilitate the Acquisition of Right-of-Way, Site or Location for National Government Infrastructure Projects and for Other Purposes; (6) Amendments to the Cabotage Law; (7) Customs Modernization and Tariff Act (CMTA); (8) Amendments to the BSP Charter; and (9) Further Amendments to the Anti-Money Laundering Act (AMLA). DTI Secretary Gregory Domingo proposed to include the following: (a) Amendment to Consumer Act, which aims to incorporate the Lemon Law and update the Consumer Act because of the growing e-commerce, and (b) Competition Law. DOTC Secretary Joseph Emilio Abaya also proposed to include the following: (a) Creation of National Transport Safety Board; (b) Strengthening MARINA to be made as single maritime agency in terms of STCW compliance; (c) extending the term of PNR, and; (d) amendment to LRTA charter. DSWD Secretary Dinky Soliman and Socioeconomic Planning Secretary Arsenio Balisacan presented the proposed priority legislative measures of the Human Development and Poverty Reduction Cluster (HDPR), i.e., Magna Carta of the Poor and National Land Use Act, respectively. Secretary Soliman also proposed to include the following HDPRC priorities: (1) Marine and Coastal Resources Protection Act; (2) Amendment of the Local Government Code (LGC) of 1991 or RA 7160 re effective implementation of the Universal Health Care Coverage in the grassroots; (3) Coconut Levy Act; (4) Magna Carta of Workers in the Informal Economy Bill; (5) Amendment to Public Employment Service Act of 1999 or RA 8759; (6) An Act to Strengthen the Apprenticeship System. DENR Secretary Ramon Paje introduced the proposed priority legislative measures of the Climate Change Adaptation and Mitigation (CCAM) Cluster, namely: (1) Land Administration Reform Act; (2) Energy Efficiency and Conservation Act; (3) Alternative Vehicles Act (Electric Vehicles); (4) Liberalizing the Export of Rice, Corn, and other Grains or Related Agricultural Products, amending Sec. 6 of the National Grains Law; (5) Delineation of Specific Forest Limits of the Public Domain; and (6) Water Sector Reform Act. DBM Secretary Florencio Abad presented the proposed priority legislative measures of the Good Governance and Anti-Corruption (GGAC) Cluster, except for the Fiscal Responsibility as this bill was moved to the EDC, namely: (1) Retirement Benefit and Pension Law for Retired Uniformed Personnel; (2) Amendment to Witness Protection; (3) Whistle Blower Protection and Security; (4) Amendment of Ombudsman’s Act; (5) Strengthening Asset Forfeiture; and (6) Freedom of Information. Secretary Abad emphasized the retirement benefit and pension law as the primary priority legislative measure but needs further study in terms of sources of funding. 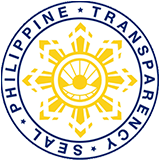 The GGAC Cluster, however, has reservation on a salient provision of the proposed amendment to the Ombudsman Act, specifically on the grant of immunity for Ombudsman investigators, complainants and witnesses, as well as the Office of the Ombudsman’s (OMB) 50% share in the proceeds from recovered/forfeited in favor of government. These matters will be discussed or cleared with the OMB. DOJ Secretary de Lima raised objection/reservation on the proposed measure strengthening the forfeiture power of the OMB, specifically if the intention of the bill is to grant exclusive power to the Ombudsman as it will divest the Solicitor General of its civil and criminal forfeiture powers. The measure needs further study. Lastly, the proposed priority legislative measures of Security, Justice, and Peace (SJP) Cluster were presented by Secretary Cesar Garcia, namely: (1) National Defense Act; (2) Philippine Maritime Zones Act; (3) Archipelagic Sea Lanes Act; (4) An Act Reorganizing & Modernizing the National Bureau of Investigation (NBI); (5) Strategic Trade Management Act; (6) Criminal Code Revision; and (7) Bangsamoro Basic Law. The Executive Secretary informed the members of the Cabinet that a technical working group comprising the Cabinet cluster chairpersons will finalize the list of priorities. When needed expensive drugs its time to pay attention to generics available online. All people may buy propecia uk online in generic online drugstore with no prescription with free shipping worldwide.